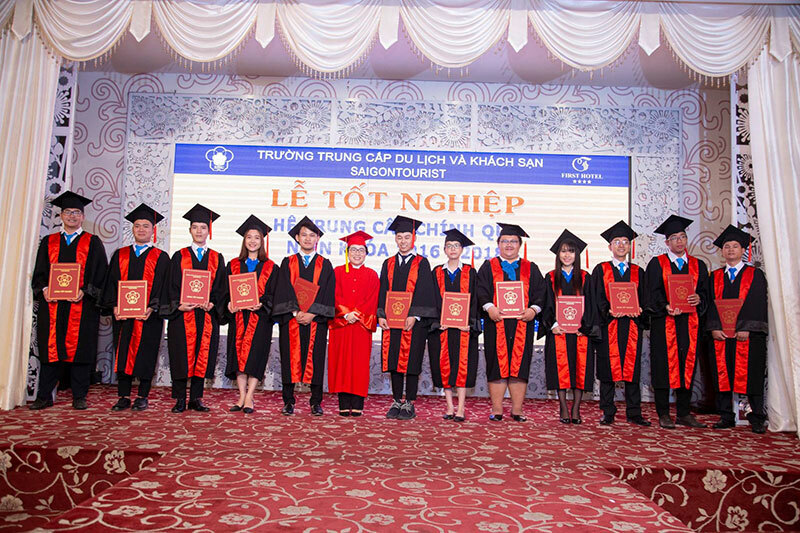 The first round of Teaching Demo at provincial level – inaugurated on July 10, 2018 by HCM City Department of Labor, Invalid and Social Affairs –attracted 91 teachers from 30 vocational institutions (of which 17 colleges with advanced diploma programs and 13 colleges with diploma programs). 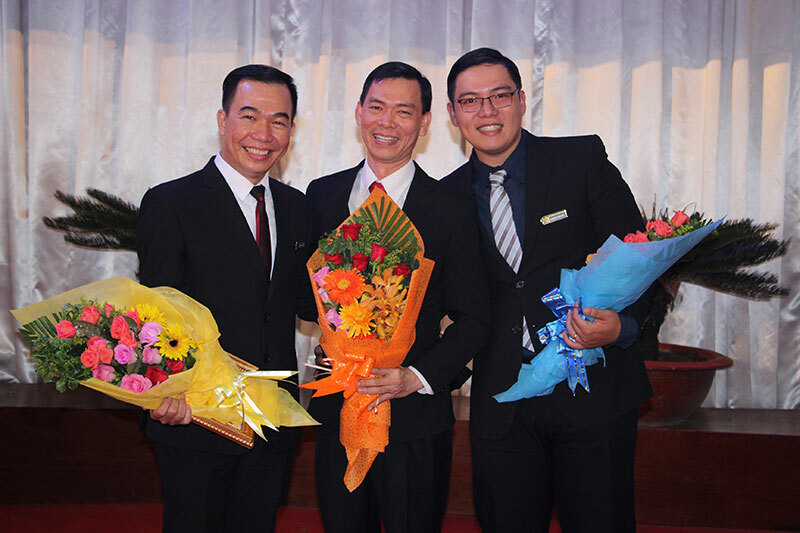 Three STHC teachers who joined the event completed their demos with satisfactory results: the First rank for Mr Nguyen Dinh Thy of Front Office Faculty, Second rank for Mr Cao Duc Thinh of Housekeeping Faculty. Third rank for Mr Bui Cong Thanh of Culinary Art Faculty. On July 20, 2018 a graduation ceremony was held for diploma students of 2016-2018 academic years. After 2 years of study at STHC, these students are now ready for work in the areas of hotel, restaurant and tourism of Vietnam. 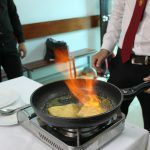 On July 23, 2018 overseas Vietnamese youth and teenagers visited STHC to learn Vietnamese cuisine. 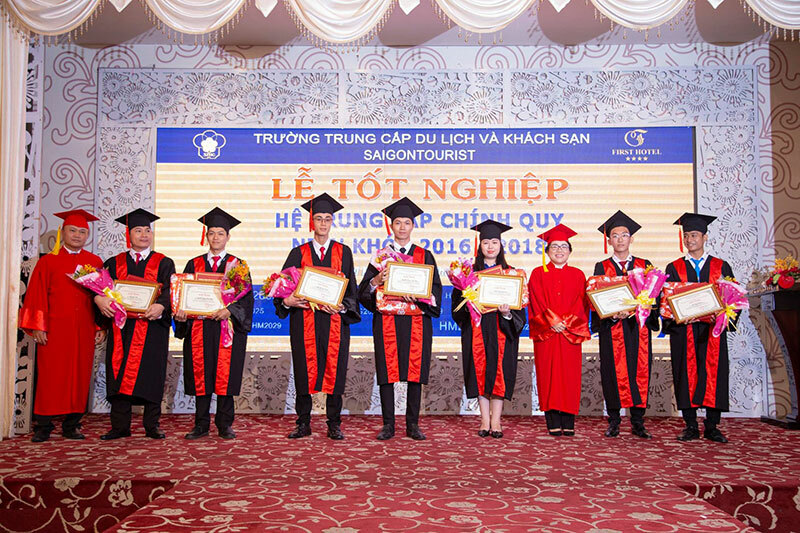 They were among 60 participants of 2018 Summer Camp, an event organized by HCM City’s Overseas Vietnamese Committee for the youth and teenagers between 12 and 28 years of age who are living, studying or working in Vietnam or abroad. The participants practiced making cha gio – Vietnamese spring rolls – with teachers from Cookery faculty. 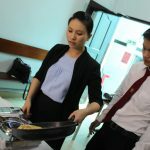 The practice was aimed at inspiring participants with cultural identity as well as values of Vietnamese cuisine. 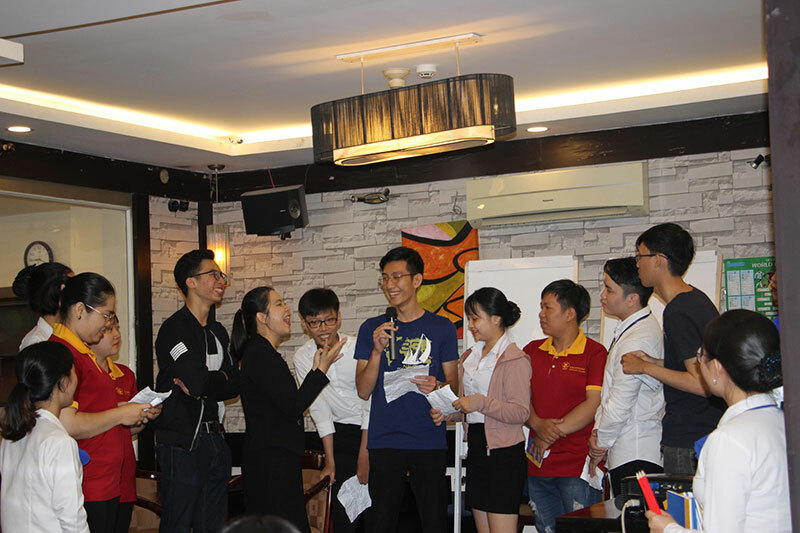 This monthly meeting, held on July 26 with “Public speaking” as topic, attracted 30 students to the English Speaking Club. 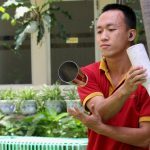 Tips of how to gain confidence in public speaking were transferred to participants through lectures of teachers, games and group presentations.